This is one of the most entertaining releases to come off of Load Records in quite a while. 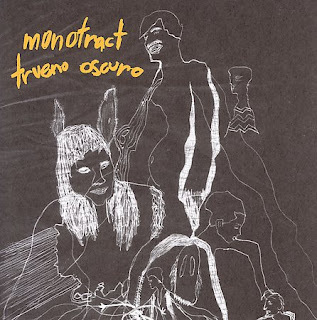 Trueno Oscuro is a fractured noisy punk rock record that, at times, reminds me of early Boredoms material, and there are other moments similar to those heard on Black Eye's Cough. Their churning rhythms, structured noise, and trancing vocals could potentially throw this record into my top 15 or 20 albums of the year.